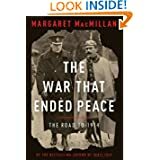 Margaret MacMillan, The War That Ended Peace: The Road to 1914. Toronto: Allen Lane, 2013. Having been looking forward to this book by the author of Paris 1919 which I enjoyed so much, I picked it up shortly after it was released. The timing coincided with my grade 12 lessons on the origins of World War One. Unfortunately I had only read a few early chapters by the time of the lessons. However, there will be changes next time, for sure, notably in the way I present Serbia and the major powers’ interests in the Balkans. Many reviewers call it highly readable; that it is. It plowed along introducing a plethora of characters and their unique foibles – the chapter on Wilhelm II is called “Woe to the Country that has a Child for King!”- and historical events and their precedents set. By the chapters on the two Balkan Wars just ahead of 1914 I had a feeling of dread in the pit of my stomach. Of course I knew what was coming but more importantly I felt like I was constantly being pulled in two directions: they will, they won’t. Like the churning left hand of a piano piece the forces set in place seemed too strong to overcome: imperialist rivalries, the bravado of nationalism, the strategy of war plans, the webs of opposing alliances. Meanwhile the right hand had its own melody largely sung by intriguingly drawn characters – foreign ministers, kings, military figures – many of whom even within their own country didn’t communicate effectively with each other. These individuals seemed to be at once marching toward war and trying to avoid it. MacMillan’s ultimate conclusion is that the war was not inevitable because the major players had the ability to make choices and decisions. Her masterful portrayal of the tension between the driving left hand and the free right hand was successful, in my opinion, in that it kept me hanging on every word until the very end. However, I do feel that the left hand came across more strongly, almost contradicting her own thesis. But my read may be biased by where I am in my own historical thinking; in teaching students to see causation of historical events in a sophisticated way I have asked them to look beyond the actions of individuals toward larger social forces. MacMillan has reminded me that I shouldn’t negate the influence of powerful individuals. Jung Chang, Empress Dowager Cixi: The Concubine Who Launched Modern China. Toronto: Random House Canada, 2013. In the last few years I have read a lot about late imperial China, mostly in standard school textbooks and books found in school libraries. The usual picture that is painted is one of corruption, decline and conflict with reform held back by the dowager empress Cixi. 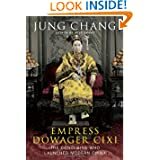 Jung Chang’s new biography of Cixi offers a different view as can be seen from its subtitle: the concubine who launched modern China. If she and her newly available Chinese sources are to be believed the usual history books have it wrong. As I often say to my history students, the problem with biography is that it doesn’t always take historical context into account enough to satisfy historians. Having recently read an excellent biography of Karl Marx that succeeded in that rare feat, I was only somewhat disappointed by the amount of wider historical context surrounding the dowager empress. Chang did a good job of charting the rise of the Manchu dynasty, gave some context on the Confucian morals present in the court, and clearly portrayed the rise of Japan as an Asian power and China’s main threat. She offered a bit on traditional gender roles in China – I didn’t know that Manchu girls such as Cixi did not have their feet bound. While China at the time had to deal with the commercial and religious interests of Europeans and Americans, Chang didn’t paint a fully developed picture of the imperialism of the era. I will admit that I have been fascinated by life inside the Forbidden City since I visited there in 1987, early on in China’s opening to the west. While I read the book my mind was full of sumptuous images from the film of the same time, The Last Emperor. It all looked so glorious: the ceremony, the rituals, the costumes, the silk. Over and over Chang reports that even though Cixi was clearly the most powerful and important person in China during her decades and decades of rule (direct or indirect), she never came in the main gate of the city. That was reserved for men only. That certainly created a lot of sympathy for her as a person. Chang did a wonderful job, as a biographer should, of constructing Cixi’s complex and oddly appealing character. She had a young woman thrown into a well and she tried to use the chaotic Boxers against the western powers, yet by the end of her rule she was trying to push China toward a constitutional monarchy. Unfortunately for her she cared too much about saving the Manchu dynasty, which is ultimately what did away with the promise of achieving constitutional monarchy within nine years. I will wait for corroboration of a lot of the claims Chang makes about the dowager empress’s policies, but I certainly have a new found respect for her as a person and as a woman in a non-traditional position.